REDWOOD FALLS — The Marshall Tigers boys basketball team used a key run to pick up a 71-52 conference road win at Redwood Valley on Monday. Holding a 24-23 lead with 2:29 remaining in the first half, the Tigers went on a 17-5 run that lasted through the first three minutes of the second half to give the road team a 41-28 lead. Bryce Lance, Bryce Paulsen and Noah Peutz scored 11 points apiece to lead Marshall in the win. Camryn Allex and Trey Steinbach each added eight points for the Tigers. Kyle Huhnerkoch scored a game-high 17 points to lead the Cardinals. 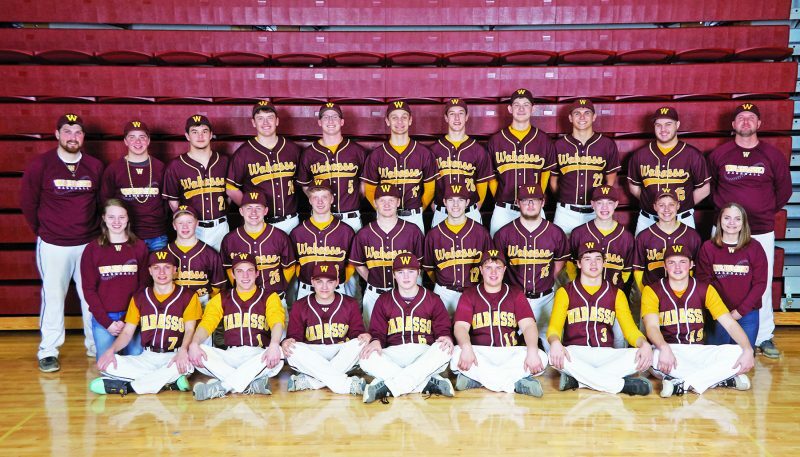 Marshall (16-5) travels to Pipestone Area today. MARSHALL: Allex 3-5 2-2 8, Baker 3-9 0-0 6, Black 2-6 1-1 5, Grant 1-1 0-0 2, Hmielewski 2-4 0-0 5, Jacobson 1-1 0-0 2, Lance 4-7 2-2 11, Paulsen 4-9 1-2 11, Peutz 5-12 1-3 11, Pochardt 1-1 0-0 2, Steinbach 4-4 0-0 8. REBOUNDS: Marshall 35 (Paulsen 8); Redwood Valley 25. ASSISTS: Marshall 16 (Paulsen 5); Redwood Valley 4. STEALS: Marshall 8 (Paulsen 2); Redwood Valley 7. BLOCKS: Marshall 0; Redwood Valley 0. FOULS: Marshall 13; Redwood Valley 13. TURNOVERS: Marshall 12; Redwood Valley 14. ADRIAN — Minneota defeated Adrian 90-44 in boys basketball action on Monday. Logan Sussner led Minneota with 29 points and 17 rebounds. Nolan Boerboom added 24 points. Noah Reyne and Christian Weidert led Adrian with 14 points apiece. Minneota (19-1) travels to Lakeview today. 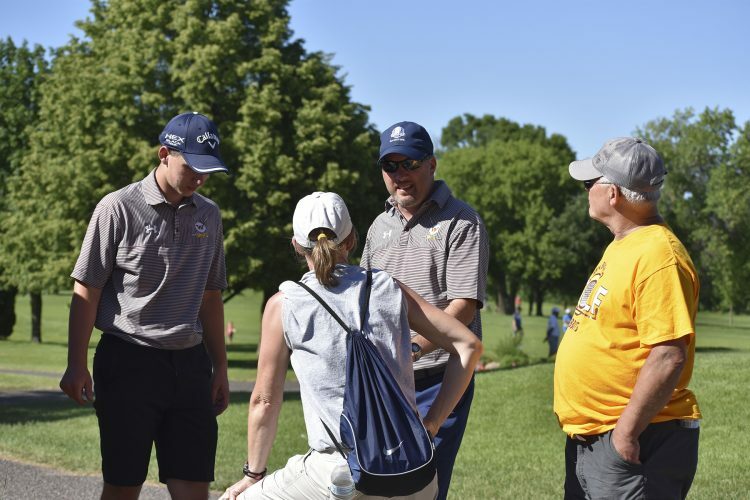 MINNEOTA: Boerboom 9-18 1-2 24, Buysse 0-2 2-2 2, Citterman 1-1 0-0 2, J. Hennen 4-11 4-4 13, Moorse 1-2 0-0 2, Rybinski 1-1 0-0 2, Saltzer 5-10 4-6 16, Sussner 12-19 4-7 29. REBOUNDS: Minneota 46 (Sussner 17). ASSISTS: Minneota 30 (Josephson 9). STEALS: Minneota 17 (Boerboom 4). FOULS: Minneota 16; Adrian 16. TURNOVERS: Minneota 9; Adrian 15. SLAYTON — Murray County Central got a pair of baskets in the final 30 seconds of the game to edge Red Rock Central 71-69 in boys basketball action on Monday. Nate Everson and Jack Pierson scored 16 points apiece to lead MCC. Justin Benda added 11 points in the win, while Blake Schmitz added eight points and seven rebounds. Spencer Halland led RRC with 34 points. MCC (15-5) hosts Mountain Lake Area/Comfrey on Thursday. MURRAY COUNTY CENTRAL: Everson 6-10 0-1 16, Benda 4-12 3-4 11, Boerboom 4-4 0-0 10, Pierson 6-11 1-2 16, Schmitz 4-9 0-0 8, Mas. Woldt 1-5 0-0 2, Wajer 2-2 3-5 8. Rebounds: RRC 24; MCC 31 (Schmitz 7). Assists: RRC 16; MCC 17 (Everson 5). Steals: RRC 5; MCC 8 (Pierson 3). Blocks: RRC 2; MCC 0. Fouls: RRC 13; MCC 22 (Mas. Woldt). Turnovers: RRC 17; MCC 14. WABASSO — They needed an extra five minutes to get the victory, but the Wabasso Rabbits picked up a 55-52 overtime win over Canby on Monday. The win ended a 12-game losing streak for the Rabbits. Isaac Kronback led Wabasso with 20 points and six rebounds. Rock Rohlik added 11 points and eight rebounds in the win, while Colby Wall scored 10 points. Ethan Thovson scored 12 points to lead Canby. Wabasso (3-16) hosts Gibbon-Fairfax-Winthrop today while Canby (4-15) hosts Tracy-Milroy-Balaton today. CANBY: Sayre 2-10 3-4 8, Varcoe 4-14 2-2 11, Thovson 4-15 1-2 12, Harding 1-2 0-0 2, Groen 3-7 0-0 6, Ries 1-3 0-0 2, Stoks 1-7 1-2 3, Prokop 1-2 1-2 3, Bruns 0-5 3-4 3, Wente 1-2 0-1 2. WABASSO: Dallenbach 1-4 4-6 6, Rohlik 5-11 1-1 11, Rabenberg 0-0 2-2 2, Wall 4-5 0-1 10, Kronback 6-13 5-6 20, Turbes 3-3 0-0 6. REBOUNDS: Canby 25 (Varcoe 5, Stoks 5); Wabasso 38 (Rohlik 8, Turbes 8). ASSISTS: Canby 9 (Varcoe 3); Wabasso 11 (Dallenbach 5). STEALS: Canby 17 (Sayre 4); Wabasso 8 (Rohlik 2, Wall 2). BLOCKS: Canby 4 (Wente 4); Wabasso 2 (Rabenberg 1, Wagner 1). FOULS: Canby 16; Wabasso 16. TURNOVERS: Canby 18; Wabasso 35. GRANITE FALLS — The Yellow Medicine East girls basketball team snapped a five-game losing streak on Monday, defeating Tracy-Milroy-Balaton 68-45. Mackenzie Dyrdahl led YME with 19 points. Hannah Gullickson added 14 points and seven rebounds in the win, while Meeghen Dahlager recorded 11 points and 10 assists. Samantha Edwards led TMB with 11 points. YME (10-8) travels to Benson on Thursday while TMB (6-15) travels to Martin County West today. TRACY-MILROY-BALATON: Smith 3 0-0 9, Wendland 2 2-2 7, Christian 1 0-0 3, Edwards 5 1-2 11, Peterson 1 0-0 3, Lessman 1 1-2 3, Dolan 2 1-2 5, Mayer 2 0-0 4. YELLOW MEDICINE EAST: Hinz 2-8 4-4 10, Anderson 5-8 0-0 12, Dyrdahl 9-20 0-0 19, Dahlager 4-7 1-2 11, Gullickson 7-10 0-1 14, Mortenson 1-4 0-2 2. Rebounds: YME 29 (Gullickson 7). Assists: YME 23 (Dahlager 10). Steals: YME 10 (Hinz 3, Dahlager 3). Blocks: YME 5 (Gullickson 3). Fouls: TMB 10; YME 12. Turnovers: YME 8. WABASSO — Wabasso defeated Cedar Mountain 69-32 in girls basketball action on Monday. Maddy Guetter led the way for Wabasso with 20 points and eight rebounds. Jenna Frank added 15 points in the win, while Sarah Franta scored 13 points. 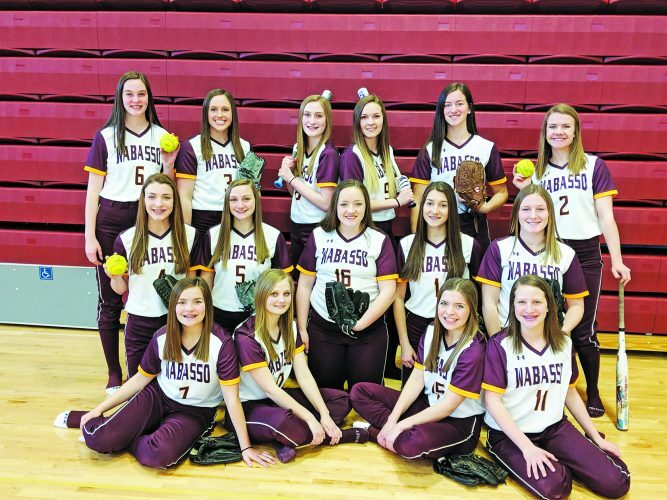 Wabasso (16-3) travels to Gibbon-Fairfax-Winthrop today. 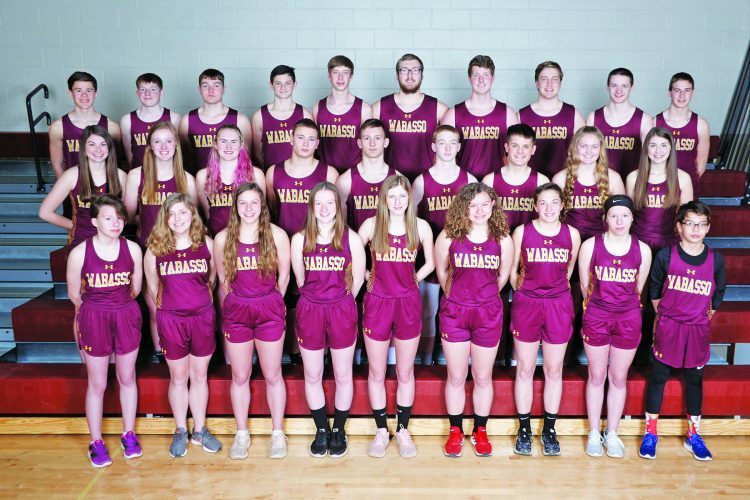 WABASSO: Franta 5-11 0-1 13, Frank 3-23 9-10 15, Guetter 8-20 2-3 20, Rothmeier 1-4 0-0 2, Eichten 2-2 0-0 4, Nelson 3-10 0-0 8, Doyle 1-3 0-0 2, Fenger 2-6 1-2 5. REBOUNDS: Wabasso 33 (Guetter 8). ASSISTS: Wabasso 5 (Frank 2). STEALS: Wabasso 16 (Three with 4). BLOCKS: Wabasso 1 (Fenger 1). FOULS: Wabasso 9. TURNOVERS: Wabasso 5. PRINSBURG — Dawson-Boyd defeated Central Minnesota Christian School 53-48 on Monday. Alex Sather led DB with 22 points and nine rebounds. Morgan Johnson added 13 points in the win, while Avery Bartunek scored eight points. Colette Duinick scored 27 points to lead CMCS. Dawson-Boyd (6-12) hosts Kerkhoven-Murdock-Sunburg today. DAWSON-BOYD: Bothun 1-9 0-0 2, Mamer 2-3 0-2 4, Johnson 5-5 0-0 13, Giese 0-0 1-2 1, Spencer 1-1 1-2 3, Sather 7-16 7-11 22, Bartunek 2-15 4-7 8. REBOUNDS: DB 27 (Sather 9); CMCS 37. ASSISTS: DB 9 (Bothun 5); CMCS 10. STEALS: DB 21 (Sather 5); CMCS 11. BLOCKS: DB 0; CMCS 0. FOULS: DB 14; CMCS 16. TURNOVERS: DB 18; CMCS 28. COTTONWOOD — Lakeview defeated Canby 51-37 on Monday. Aubrey Kaczmarek led Lakeview with 19 points. Sierra Plotz added 12 points and eight rebounds in the win, while Kiana Imes scored nine points. Lakeview (11-8) hosts Minneota on Tuesday while Canby (6-16) hosts Minneota on Friday. LAKEVIEW: Lienemann 0-7 2-2 2, Imes 4-8 1-2 9, Louwagie 0-4 1-2 1, Kaczmarek 8-15 2-2 19, Plotz 5-10 2-2 12, Rausch 2-7 0-2 4, Gravley 2-5 0-0 4. REBOUNDS: Canby 20; Lakeview 31 (Plotz 8). ASSISTS: Lakeview 13 (Lienemann 3, Rausch 3). STEALS: Canby 5; Lakeview 8 (Imes 4). FOULS: Canby 15; Lakeview 18 (Plotz). TURNOVERS: Canby 17; Lakeview 15.